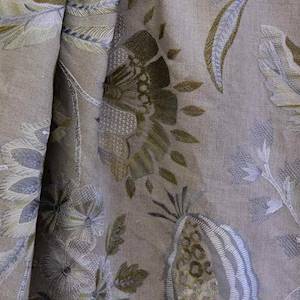 This embroidered fabric features a large-scale floral design in shades of gold, silver, and white on a natural-colored background. This 100% linen fabric looks and feels truly luxurious, and the fabric is really stunning in person. Order a fabric swatch today!